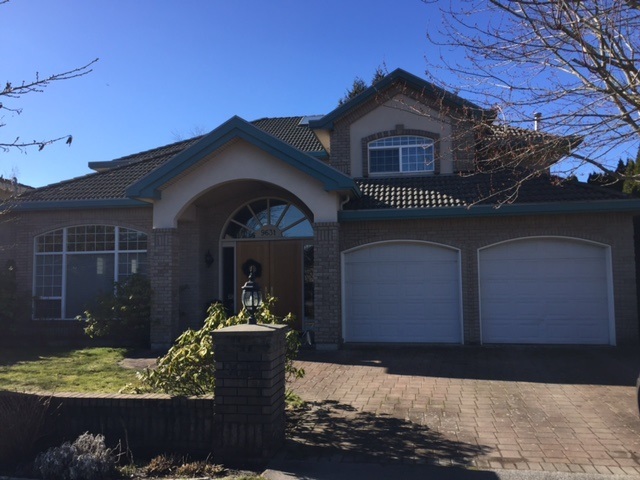 "Well built 5 bdrm executive home with a very nice and open floor plan. Huge entry with vaulted ceiling and sweeping staircase gives this home a spectacular feeling the minute that you enter! All rooms on the main floor are quite spacious, the kitchen has a large island and a separate wok kitchen. Nice den and bedroom with full bath tucked away in the back, perfect for a nanny or the inlaws! Upstairs features 5 more bdrms (2 were made into one large but easily converted back). Large, private lot with sunny west exposure. Easy walking distance to transit and both levels of school. A real special home, come see for yourself! Open Sat, Feb 25, 2-4pm."